Patients at Metro Physical Therapy have the opportunity to continue their training and Rehabilitation program with close supervision from their personal physical therapist, even if their insurance benefits are exhausted. Metro PT offers aftercare, fitness and wellness programs. 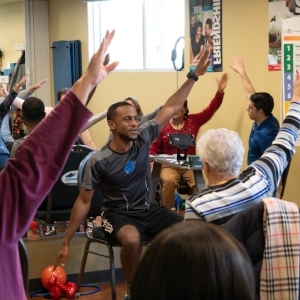 These programs allow a patient to continue the exercise programs they were receiving during therapy, to assure overall wellness and to prevent future injuries. A licensed physical therapist will design customized progressive one on one exercise programs. Both water and land exercises may be incorporated into the aftercare, fitness and wellness program. At Metro Wellness Pavilion we pride ourselves on our quality of care. Our goal is to build a lasting relationship with you by assisting you in adopting or continuing a healthy lifestyle throughout and after your rehabilitation. In our ongoing commitment to your personal health we realize how important preventative health care is and how valuable lifestyle changes can be.